» Who’s That Guy? Arizona’s Nick Johnson! Who’s That Guy? Arizona’s Nick Johnson! We’re bringing back the Who’s That Guy? series to help get everyone ready for March Madness. So far we’ve looked at Melvin Ejim and Nik Stauskas. Today? Nick Johnson! His Game in 30 Words or Fewer: So steady and smart as a combo guard, it’s easy to forget how explosive he can be. On team with eight stars, the undisputed go-to option when games get close. You Might Know Him From: Tuning in to Zona games to watch Aaron Gordon, and quickly realizing that Johnson is the best player on the floor. Film Study: Johnson’s the linchpin for Arizona’s offense and was named Pac-12 Player of the Year, but he was also a candidate for the conference’s defensive player of the year award. Here he is destroying Quinn Cook’s hopes and dreams. And remember when we said he’s explosive? Finally … you know how people talk about intangibles with certain players? What they really mean is “waited to sit down so the Florida fans could do their stupid ejection chant while their own player was shooting free throws.” The Florida player made the free throw, but still. Nick Johnson wins. He eventually landed in junior college, where he won a national title at Southern Idaho. Joey Johnson’s career never really took off, though, because dunking was really his only great skill. He played pro in Europe, but that was it. This became important when it was time to pass basketball on to his sons. So Why Should You Know Him? You should know him because he’s the most important player on one of the three favorites to win the NCAA title. And because while NBA scouts freak out over Gordon the next few weeks, Johnson’s exactly the sort of player who can quietly fall into the late first round, then slide into a role as a fifth starter on a contender for the next 10 years. For now, his game can be tough to appreciate. He’s an explosive athlete, but when you watch him play, he’s almost always under control and steady as hell. He’s the team leader for the offense, but he doesn’t play point guard. As a shooting guard, he’s the leading scorer for Arizona, but he’s constantly unselfish, hence scoring only 16 points per game. It’s hard to make sense of his game until you hear about the other family connection. His uncle is the late Dennis Johnson from the Sonics, Suns, and Celtics. And once you start to see Nick through that prism, his role becomes a lot more clear. 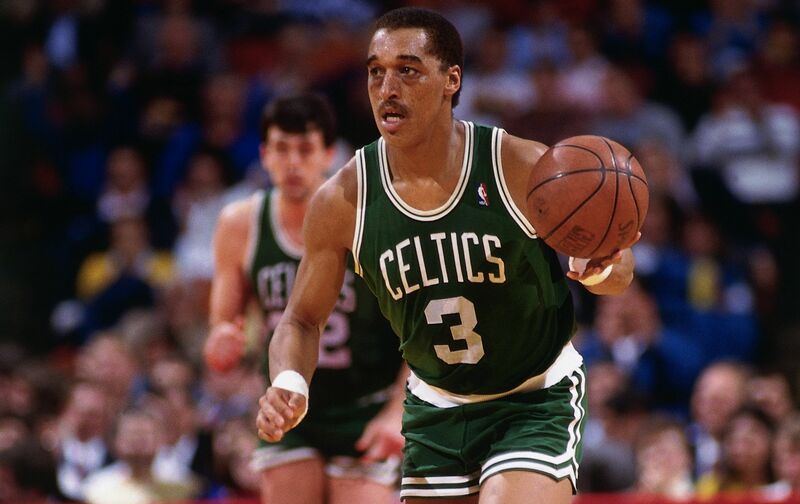 I was too young to remember much of Dennis Johnson when he played, but here’s what I’ve gathered from hearing people talk about him over the years: He was a great athlete and a killer defender who could play both guard positions, did everything well, knew his limits, and played smart. He’s one of the only players in history who could be described as a combo guard without it being an insult. He was the ultimate role player — not great at anything but so good at everything that they eventually put him in the Hall of Fame. Meanwhile … Arizona’s the best team in the country, probably. The Wildcats have as much talent as anyone and one of the best coaches, they play smart, disciplined offense and tough defense, and it all feels like an extension of everything Nick Johnson does well on his own. Now they’re all about to hit center stage for the next month. Which is to say, if you’re like me and you never really saw Dennis Johnson play, watch the tournament this year and enjoy his nephew. Arizona’s loaded like the ’80s Celtics, and even if there’s not really a Larry Bird, Nick Johnson as its Hall of Fame role player might be enough to take it all the way anyway.